The Funky Felter: For your Crafting and Jewelry making . . .
For your Crafting and Jewelry making . . . 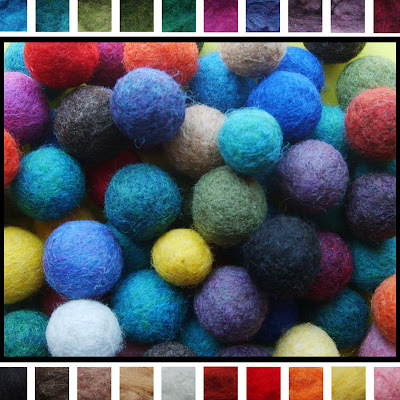 I'm now offering custom color felted wool beads! You can choose from 20 color choices and customize the beads for your project needs. Currently I have two listings in quantities of 10 and quantities of 20, but I also offer larger quantities upon request and price discounts on orders of 50 or more beads. Simply contact me with your custom requests.